From the moment you step aboard her teak decking, luxurious space is a constant companion. 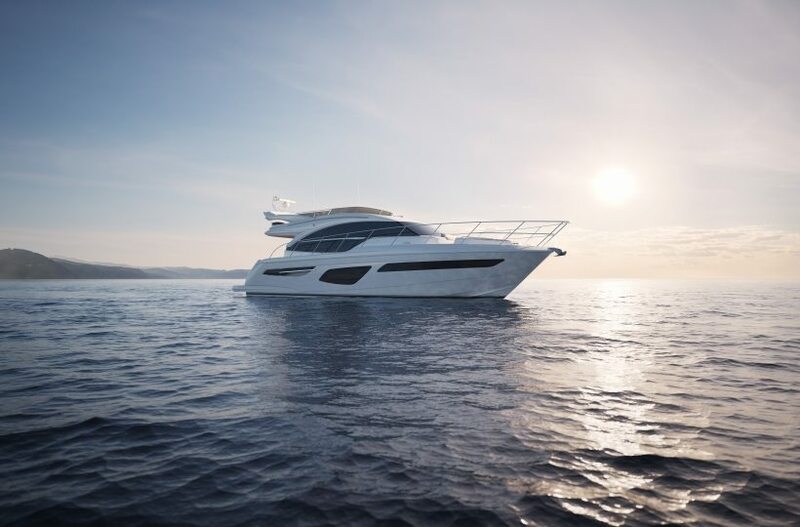 The distinctive design ethos of the Flybridge range flows seamlessly on the exterior of the Princess 55 with contrasting textures and materials incorporated throughout with smart paneling, directionally laid teak veneers, inlaid polished stainless steel and contemporary paint finishes. Elegant shaped surfaces and precision layered geometry define the interior to form a truly tranquil environment with meticulous attention to detail.